We all know millions of people have an influence on social media in day to day life. Not just specific kind of people belongs to social fields are affected, even normal people like us have the impact of media on our daily life. 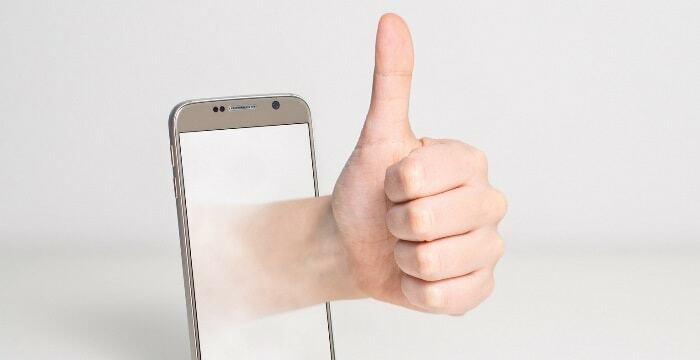 Social media is nothing but an electronic platform that built for connecting people remotely from their location at their own convenience. Some of the types of this social media platforms are Facebook, LinkedIn, Twitter, Pinterest and many others. The role of social networking sites in our daily life is big and does have a deep impact of it on our life. It also has virtual influence in every aspect of our lives. Through this media, anyone can share anything with their buddies across the world and hence it is treated as the best channel to know about what's going on in the world. There are other media are already present like Magazine, Television, Radio, Newspaper etc. These media are used to share content publically. But through social media, you will have an option like privacy to select what to share and with whom to share. Not everything on social media is public, we can also keep specific content for private people only. Yet all types of entities have an influence of media in our lives and this influence is sometimes positive and sometimes negative. And hence, I came across various questions like how social media affects our lives? 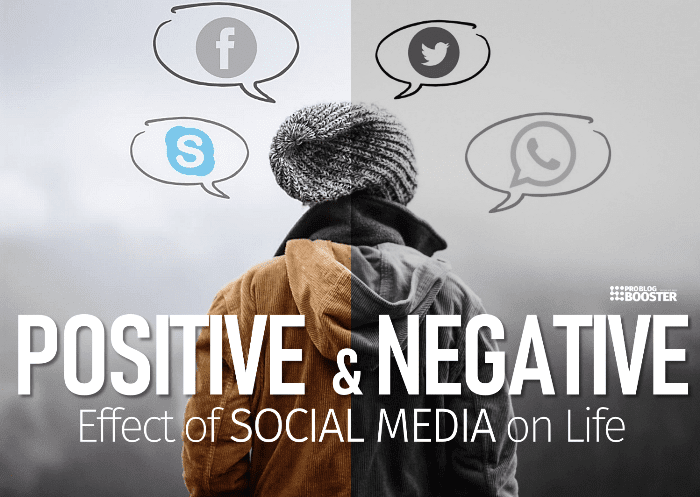 What is the effect of social media on our lives? How has social media changed the world positively? How social media has affected our lives? etc. Reason 1 - Better connectivity with our friends and help to establish a connection with the new type of people/ friends as well. Reason 2 - Helps people to share (everything) with the world like what are they doing, how are they up right now, where they stand and so on... with the rest of the world etc. Reason 3 - Create awareness about all the local as well as global happenings. Reason 4 - Online marketing becomes easy. Reason 5 - Beneficial for making an awareness of important or public priority problems. Reason 6 - You can quickly share online offers with your friends. Reason 7 - Individually, it provides a platform to open up your free thoughts. Reason 8 - Detailed reviews with helpful information can also be shared and made available easily. Reason 9 - Fastest way for getting the brand/compony/celebrity/news/offers or updates. Including above, there are many other reasons behind why social media is so important in our day to day life. This application has now become one of the must-have things in the world. It is used for instant messaging. Can share images, videos, profiles, voice messages etc. Even now payments can also be made through this app. You can also connect it to your address book and can share your contacts with others as well. It also comes up with customized features too such as privacy, profiles, notification sounds, and wallpapers etc. Right after WhatsApp, Facebook (and its messenger) is a second most used application in the world. This is treated as the most popular social network media on the internet with a record number of users and users take some time to log in to see whats going on outside. Millions, billions of people are on Facebook and sharing their activities on an hourly or daily basis. Everyone can anticipate its dominance in the future even after its acquisition of WhatsApp. This holds millions of professional accounts and helps to connect themselves with other professionals. Tons of jobs can be viewed from home. Anyone can apply and get a suitable job. Helps people to create a profile which is acceptable across the world. Helps to give recommendations towards the profile for better shortlisting of the suitable jobs. There are many other social media sites or applications out there. And it enables users to create and share content worldwide. People go crazy due to the addition towards social media. But yes, it is now very important to be socially active just because this makes us aware of whats happening around us. The whole world is on social media and if we have to make a connection with them, we will have to participate in the game with the same attitude. Many people don't have their own opinion just because they got influenced by the information published on social media. But one should not blindly follow other person or group. Social Media is affecting our lives immensely. Sometimes the effect is positive, sometimes it’s negative. Immediate access to the information e.g. Twitter tend to deliver instant posts about what is happening and the rest of the world from various sources received those posts within a second. Hence, there is no any possibility to miss a thing. Playing field for business where in old days, many of business owners usually tried to do heavy investment in advertisements. But now they can publish their contents via blogs, announce the services over the social media to get immediate attention from their clients with almost zero investment. Quick and wider promotion of the content across the world. Helps in learning and earning. It provides more information than what is required, especially for kids. Talk without action. Since social media are an invaluable communication tool, many people can vent on these platforms but no any strict action can be taken in the end even if it's not acceptable by the society. Hiding behind anonymity. People are using social media for the sake of hiding their identities against any good-bad reasons. As a result of this, social media becomes a haven for habitual pranksters and trolls. Shared information could be too early to be known by teenagers, youngsters or even kids. Wastage of time if it is not productively or proactively used. 1. As we all know, the earth has become a global village because of social media. We know about what is happening at the other end of the world within a minute through television and internet. And social media plays a vital role to convey information across the world. It spreads knowledge, information, news and many more from one end of the world to the other end. 2. Social media educates people to understand their basic rights and help to publish a guide to know how to use them. It also connects a normal person to the government because of political activities are conveyed through social media. 3. Educational programs help people to learn new things, market trends etc. Even children can develop their intellectual skills by viewing audio or video tutorials shared by people over the social media. It makes children understand many concepts quickly and easily. 4. The advertisement part helps us to get known to various products available in the market and can make out choice easily according to the needs and shared reviews. 5. Weather forecasting can also be helpful to know about the weather so that we can make plans accordingly. 6. Social media works like a problem-solving platform where one can contact another person to resolve the problem which usually not mentioned anywhere in the book itself. Technical difficulties are usually not mentioned in the book and hence social media establishes the bridge between people who wanted to get their problem solved. 1. Social media is the most influential platform for the people who can make use of it for violence. Analytics says that exposure of the violence shared over television, movies, videos etc. make youngsters more fearless, aggressive, violent etc. It is not the case that they start bringing harmful items (like weapons) in the school/colleges, but it creates a trust-breaking mentality towards their relatives. 2. Sexual and violent content published over social media leads to the crimes in the society. 3. There are millions of ads to influence people on the importance of branded items. As a result of this, people may become status conscious and tend to buy such costly products for the sake of maintaining high status in the society. This ultimately leads to not making perfect use of money over buying unnecessary branded products. Instead of praying to the God, first, we click some pictures of our food and share with our loved ones. We publish our own problem over social media instead of solving them on our own. We do social media shameing of a person who shared their personal concern/problem with us. People may pretend to be someone which they are not in reality. People may talk more over the chat but go silent when they meet them. Life has gone too public and hence the privacy is now compromised. Social media has become a haven of judgment. People don't want to be as they are anymore. There could be many negative points but it totally depends upon how one is using social media for his/her own purpose. You may have tons of knowledge and information, get connections with many experts, make new friends, impress the world, distract yourself from a boring life, waste time, or any other thing that you wanted, but for me; it totally depends on how am I using this social media and for that purpose. It does not hold any power to affect me unless I allow it. People nowadays love to publish their posts. After a few days, a community of followers starts to develop underneath that. Later, with the right social moves, that community may become passionate customer platform. And if anyone needs any kind of help, they can share their request with the community and someone should be there to give an advice. Social media gives better access to 'Life-Improving' information. It makes incredibly easy to share information that one find useful in the life. Someone else can take benefit out of it as well. And someone can make use of it with a wrong purpose. I would recommend you all to make a friendship with the “unfollow” button. I personally spend some time for customizing my feeds on daily basis. Due to this, my feeds got filtered out and only useful ones will be listed and which are valuable.